My kids used to say "History is boring!" until we started going out on the road and seeing history in person. Unfortunately, that isn't going to work for the Roman Empire or Mayan Mexico. I'm not opposed to a long road trip (last summer we drove from NJ to San Antonio, Texas! ), but when you start needing passports and to involve the TSA, I cry uncle. But how do you immerse a student in an "I'm there!" experience for these civilizations? That's a job for Roman Town iOS app and Mayan Mysteries Online Game from Dig It! Games. 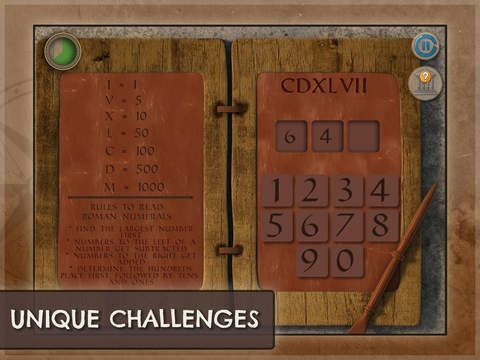 Roman Town is an iPad app game that transports the player back to Pompeii. (You will need to keep some modern cash in your iTunes account though, though though - the app is free, but in order to advance through the game, there are in-app purchases.) 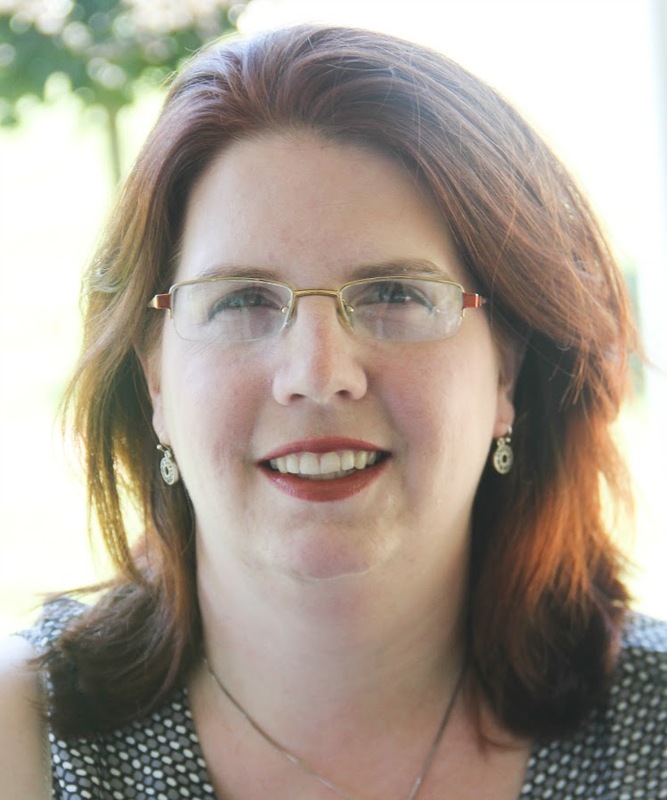 It's not just a "video game," but true video learning. For those who have a set of mandate requirements to check off, it does fulfill several core standards, including World History, Math, and Reading. Officially, it's for students in middle elementary school, but that didn't stop rising 9th grader Matthew from loving it! 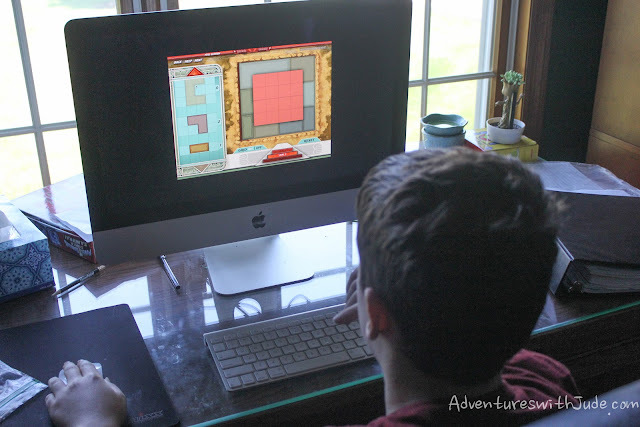 It actually was perfect timing for him to play this, because he's studying World History and just finished a trimester that included ancient Rome. He found himself...not bored! Even though it wasn't something that he was "supposed to" enjoy, he did. He didn't feel it was for "little kids." He admitted that he actually did learn some new things about Roman culture. Egads! Celia also played Roman Town. She's in the target age bracket for the program, and found that it wasn't too hard to play. She loved all the new things she learned, but she especially liked the games. Something I really liked about this program was it wasn't all about facts and dates. Sure, they're important, but history gets really, really dry and boring when all you're learning is who did what, and when he did it. This program does provide a fair amount of nitty-gritty facts, but it also provides a glimpse into the culture of the Roman world. Two of the games, Knucklebones and Calculi, are based on real games the ancient Romans played. I think it's really important to study people of history in context with not just what happened, but how they lived as well, and this helped them see that ancient Rome wasn't all just all about chariot races and gladiators. 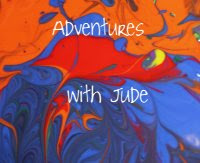 "There were more things to do than the iPad version, at least as far as we can remember. We don't think it was a "new" game, because there was stuff we had already done, but there were a lot of new things to do." One thing they both were certain they didn't remember was searching for the King and Priest's possessions to unlock a level. Another novel section was where they had to plant crops and then allocate water to both the crops and the king. This online game version is geared to older students (5th - 9th grade). 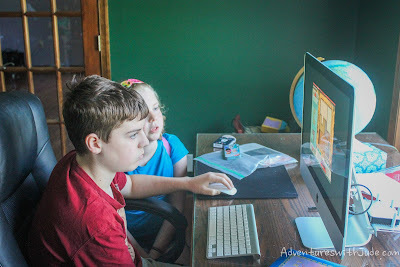 I wouldn't say that Celia needed Matthew to figure out the puzzles; even though she's just finished 5th grade, there often were times where she'd be the first to figure something out and Matthew would still be processing a few minutes later. I think for Celia, as a middle schooler, it could be a standalone unit for an overview course. However, for Matthew, it's not detailed enough to count as a "section on Mayans" (or "a unit on Roman history" when studying ancient civilizations. What I'd categorize it as a way to say "Ok, fine, take a break. You can play this game for a bit..." and he thinks he's winning because he's not doing official schoolwork, but he's still not totally off the clock. What I appreciated about this version of Mayan Mysteries is it could be restarted. You can't go back and re-do a section that you may not have earned all the rewards from, but you could go back to the beginning of the game and replay it. Upon replay, I found that there wasn't a lot of "Oh, I remember those answers!" to get ahead. The game seems to have sufficient random puzzles/questions/etc. to allow you to play again at least two or three times. Again, we had lots of learning, and not a single, "But this is boring!" Dig It! Games was founded by a former archeologist and middle school teacher ten years ago, and their goal is to blend entertainment and learning by providing historically accurate and educational content in a way that appeals to students. 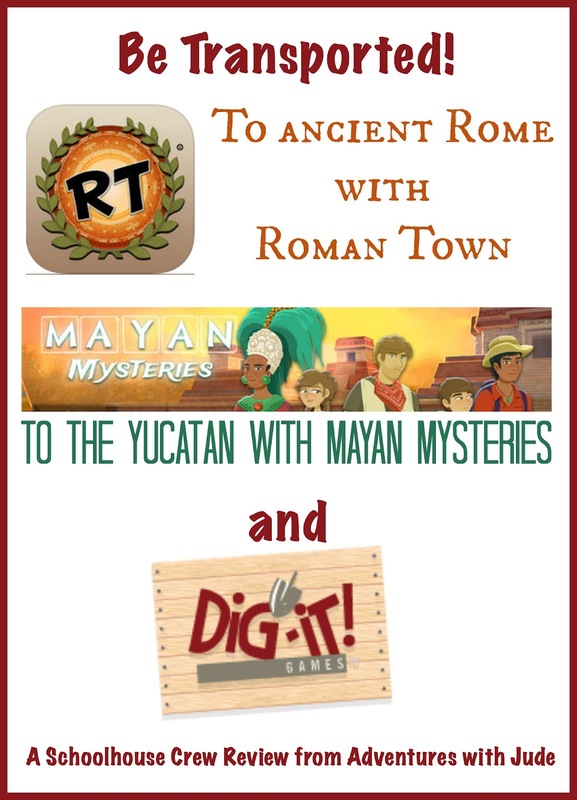 Roman Town and Mayan Mysteries are well-rounded academic but fun programs that will make your student want to learn. We may not be able to go to the areas in person, but these virtual visits are definitely not boring!